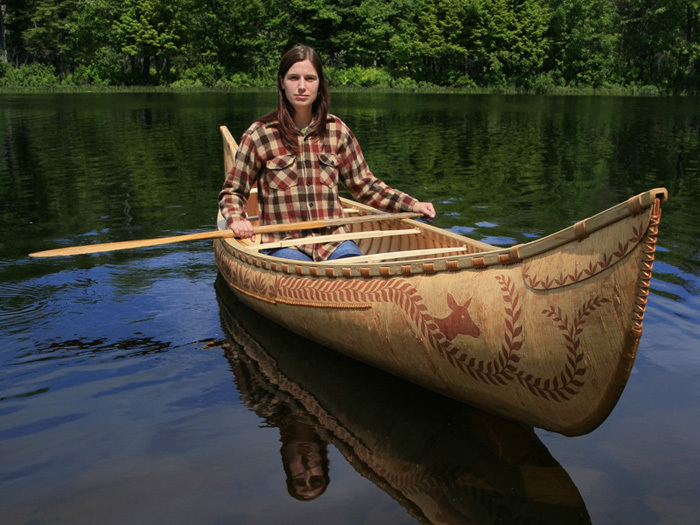 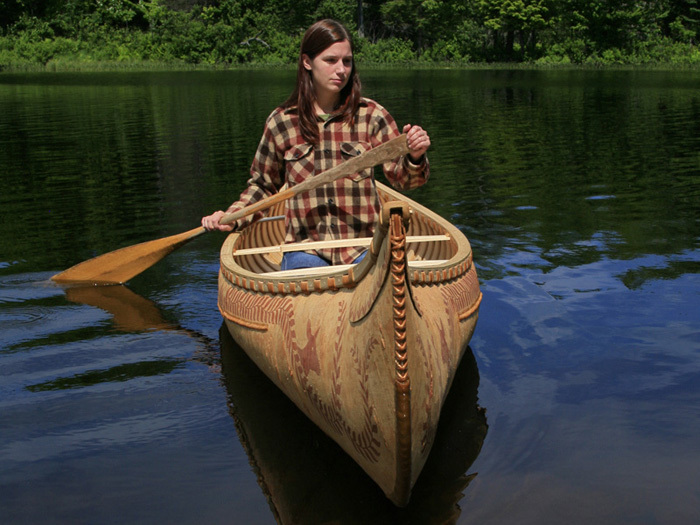 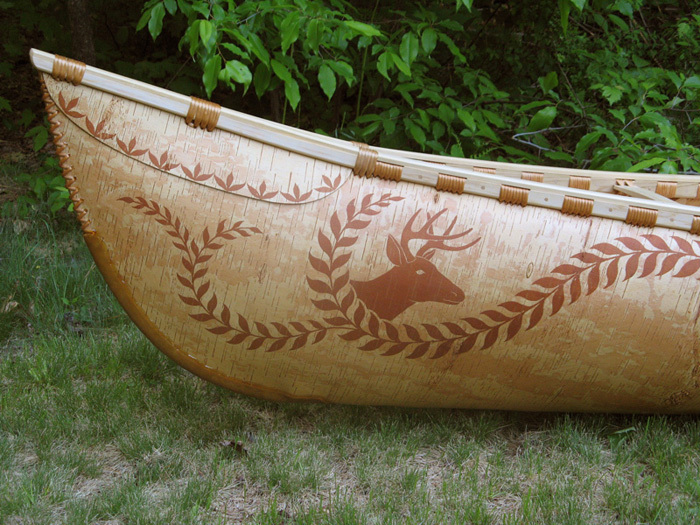 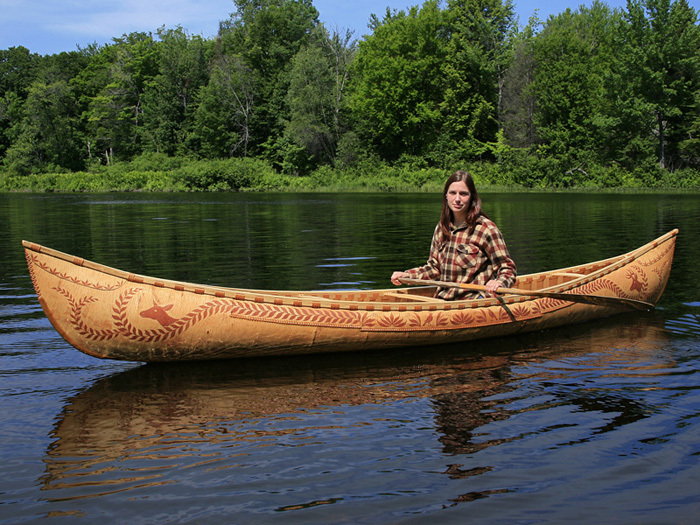 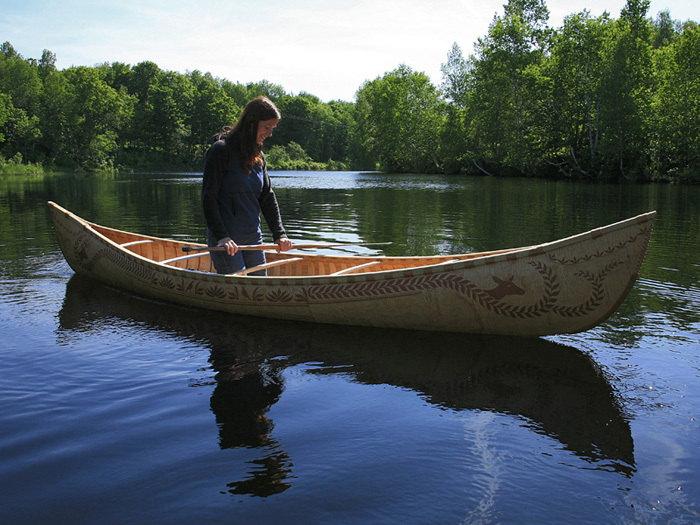 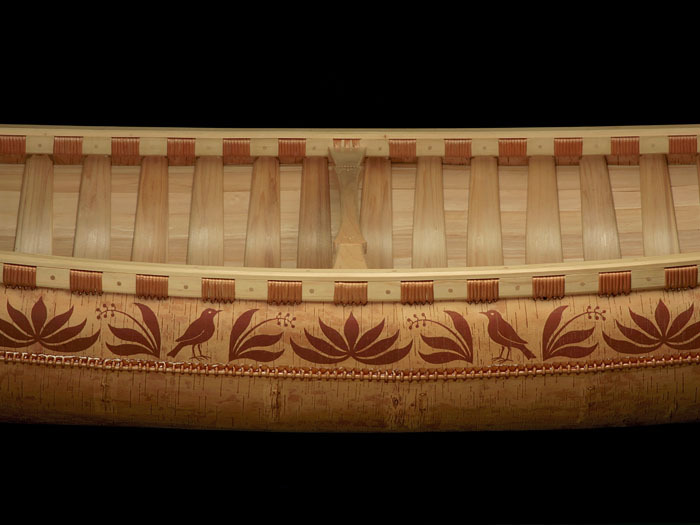 This 14-foot canoe was made with a sheet of winter bark for the hull. 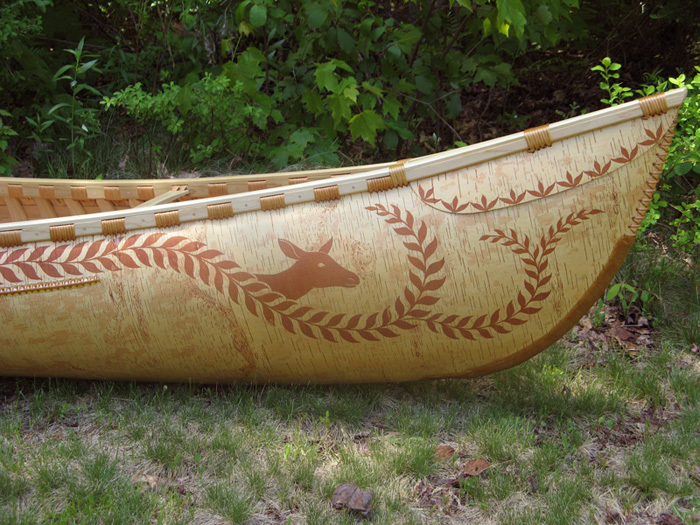 The etchings depict some of the plants and animals of the forest, including Clintonia or blue-bead lily, the hermit thrush, and the white-tailed deer. 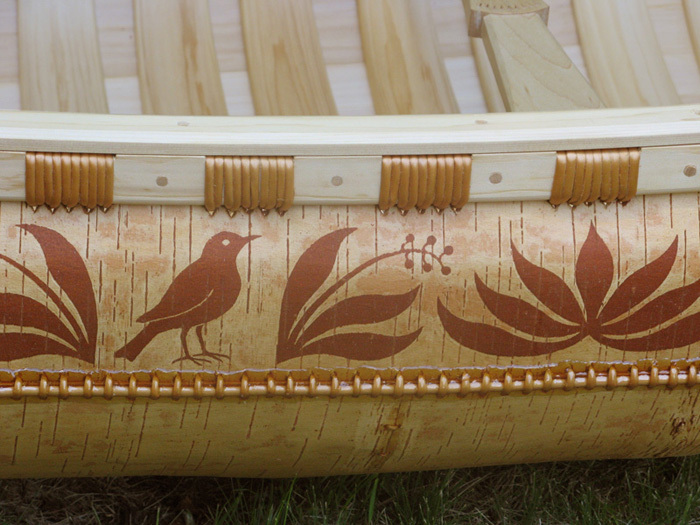 The dark inner layer of bark is scraped away from the background, leaving the designs. 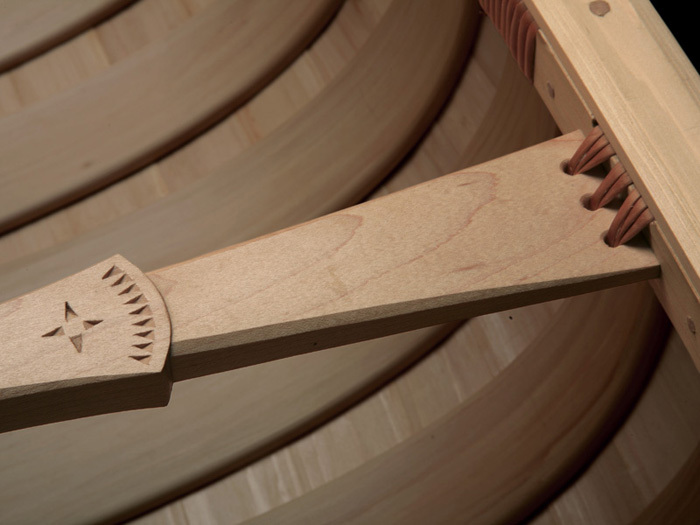 Inside beam 28”, depth 11 3/8”, Weight 45 lbs.